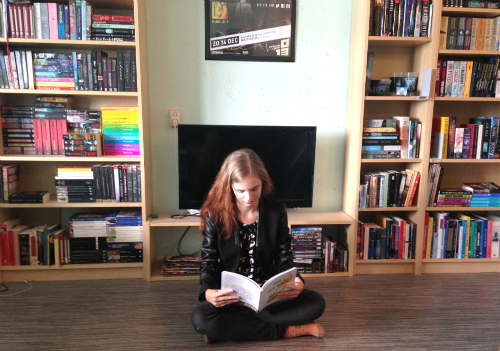 The League of Sharks is a hard book to review, as I’m having very conflicting thoughts about it. I keep changing the rating between two and three stars, and I guess in reality the book was a two-and-a-half star read for me, making it too hard to swing either way to my satisfaction. At this hour I feel more like rounding up, so here we are. When Junk is young, his sister gets stolen from her bed by a shark-man. His parents think he is responsible, and he runs away from home to become a sailor and track down Ambeline’s kidnapper. His journey takes him to a strange, future world, where everything is different yet very much the same. 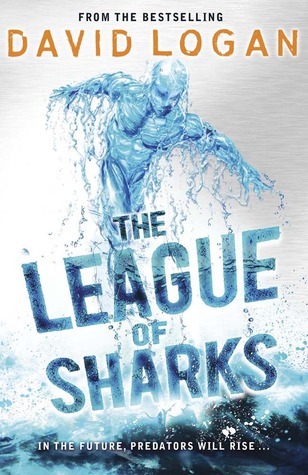 Although the story follows a fifteen year-old protagonist, The League of Sharks reads very much like a middle grade novel. It has a shortish writing style that, although it contained some big words, seemed more fit for a younger audience. The narration is third person omniscient, something that never happens in young-adult books. The omniscient narrator really grated against my nerves, mainly because he felt the need to add commentary and said things like “but because Junk is a teenage boy, he doesn’t understand girls” and a lot of anti-religious (mainly anti-Catholic) remarks. This book requires a lot of suspension of disbelief. Once you really start asking “why” or “how” questions, it quickly becomes apparent that The League of Sharks can’t be read as a rational story (in the sense that normal rules of logic apply). A good way of describing the story is as if it’s a fairy-tale: the act, the adventure is what makes the story, not the protagonists. It’s in essence a road-trip story of a teenager travelling through the future (three million years in the future, to be exact). He has to do the typical initiation stuff, and gets a cast of quirky characters to support him. I think the main reason why I didn’t like The League of Sharks is that the book is very much a children’s book. Children can still suspend their disbelief to such a degree that they can become fully immersed into the journey. I personally seem to have lost that ability, as I missed the complexer stuff like fully fleshed-out world-building and character introspection. There is plenty of fighting and suspense to keep you busy. The setting is highly original. The League of Sharks was good – don’t let the low rating fool you – but it wasn’t the book for me. In a world where humans have disappeared, sharkmen are the ultimate predators. Junk’s sister has been stolen. Snatched from her bed in the dead of night, Ambeline doesn’t stand a chance. No one believes Junk saw a monster take his sister. No one believes he’s not to blame.